As we kick off another new year, most workplaces want to kick it off to a good start - and what better way than with some high-energy team building events? This can be an unforgettable time for all parties involved, giving you the opportunity to reward your staff, evaluate any needs for the future and you can really get to know your employees, too. 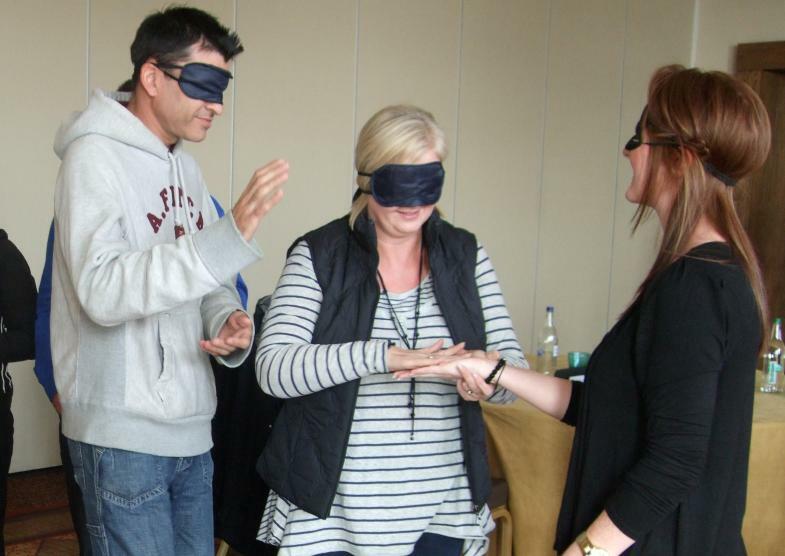 Here in Scotland, we offer a wide range of activities to really inspire and encourage team building in a city near you - including Edinburgh, Aberdeen and Glasgow. It’s vital for growth and productivity that all teams members in your business work well together as it’s a reflection on any business and can change the way that clients interact with your business. If a team works well together in a comfortable atmosphere, then clients are going to be drawn to it. Here at Team Challenge Company, we have a broad range of different team building activities and events to suit all your business needs. You can inspire loyalty by completing the Bush Tucker Trial; working together to get through different trials and collecting points in the process, the winning team will be given a trophy to remember the occasion. There are plenty of ways to customise to suit your teams ensuring each employee leaves with a sense of satisfaction and accomplishment. Traditional tasks like Bridge Building can inspire communication between staff and their peers by allowing individuals to specify their needs to the building team. It’s important in any business that the employees have a good communicative relationship, as this is the basis of any workplace. Not only are these workshops helpful for teams who have worked together for years but it’s also hugely beneficial to new businesses or newly created teams, too. These events are designed to help to break the ice and allows everyone to get to know each other in a more relaxed environment away from the office. Simulators test the mental strengths of a team and can bring the team together in an exciting way. There’s no awkwardness, everyone gets stuck in and it's about enjoying the people you work with and seeing them in a different light. Not only are these activities designed to help you improve how your employees and team interact with each other on a daily basis, it is also a quick and easy way to boost morale. Smiling, laughter and getting to know other team members outside of the office environment can only be a good thing, and you may be surprised at the results you see following your team building event. Harness your team's true power by bringing them to Edinburgh, Glasgow - or in fact any city here in Scotland or across the UK - to build the best relationship you can in the workplace, it’s much better to go to work and enjoy your day rather than to dread it. Highly experienced and professional staff can ensure that you and your team have a blast. For more information, please give us a call on 03300 04 09 03.